The skills you need when learning to produce music. 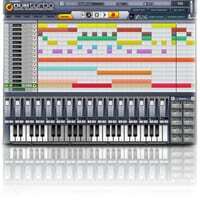 The best cheap music making software for beginners. 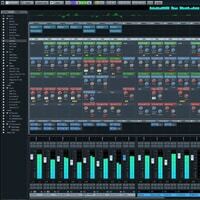 Good beat production software for intermediate and experienced producers. Where to find advanced tips for music producers (e.g. mastering, compression, EQ… all the stuff needed for a professional sounding track). Whether or not it’s possible to become a famous producer fast. You want to learn how to become a successful music producer, so let’s get into it right away. Note: While the below has some good knowledge for getting on the right track with producing, if you want to learn the techniques top producers use to make their tracks sound a cut above the rest, you’ll need proper producer education, some of which you can learn via the guides on this site. Use these alongside the below for a complete look at becoming a pro music producer. Tip: Use the menu at the top of this page to jump to the section you require. 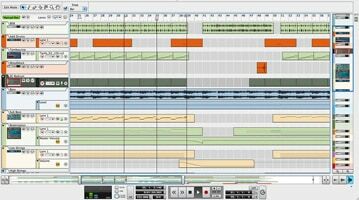 What Is The Best Music Production Software To Use? How To Become A Famous Music Producer Fast – Is It Possible? Before we look at the technical aspects of producing music, we need to cover a few things which will help you stand out from the crowd. Forget the best software to make beats; if you don’t have that creative spark inside you, even thousands of dollars of software and hardware won’t help you make good tracks! While it’s important to be original, when you’re first starting out it’s important you learn what goes into making a good song; specifically in terms of structure. This is an extremely important step that many often overlook, and as a result produce below par music for a very long time. What I suggest is you is find a few good (but not to complex) backing tracks for your genre of choice. Next, pick one, and try and recreate it sound for sound in your beat maker software. You don’t need to go to audio engineering schools to be able to do this, you’re directly learning from the biggest tracks in your genre. This may take a few hours, or it may take a few days, depending on how fast you work and how good you are at picking up sounds. Once you’ve recreate the song step by step, take a step back and look at what went into making it. Chances are there’s lots more instruments and sounds involved than you initially thought there was going to be. Furthermore, I’m sure it changed up quite a bit throughout the song. Of course you can’t release this song or claim it’s your own; this is all training. Next, recreate another different style of songs, and then do another. I’d recommend you do at least 5 or so of these so you know what really goes into making the best songs in your genre. What do they all have in common if anything? Are they all around the same tempo? Do they all use similar sounding instruments? Are there similarities in the drum or hi hat patterns? By doing this you’ll begin to see structures and formulas which are proven to work, and things that you can possibly apply to your own work. Don’t underestimate how important this step is. Maybe you can have a signature sound. A certain instrument or song structure that people can recognize your productions by. You could include a sample that you always use in one way or another. You could cross genres, making your music different from what’s already out there. Maybe you could only have specif styles of vocals on your tracks, short bursts of vocals or chopped up vocals. Another idea is to differentiate yourself via your personality. While not a production trick, by being a likeable person or standing for something people can relate to, people will want to work with you for those reasons. It’ll be a lot harder to make it as a professional producer if you sound pretty much like everyone else, so do something to stand out from the crowd. And be sure to draw attention to what makes you unique. As with many things in life, many people will try and tell you there’s a right and wrong way of producing. While this is true to an extent, once you know the right way and can use it well, you should aim to switch things up a bit. If you follow the rules 100%, you will sound like everyone else. It’s because of this that you should try unconventional sounds, different ways of mixing, and different song structures every now and then. How different you aim to make your beats is up to you, but test different things and see how people react. Some may not work out, but some ideas may be received really well and help you establish yourself as a producer worth buying music from. So now you know some theory about what makes a good music producer, let’s look at the actual music making side of things. Now, onto the questions of the best beat making software. This is something many producers get hung up on, when in reality it’s quite an easy area to get right. The type of music making software you should get will depend on what level of producer you’re currently at. I’d recommend a different one for a beginner producer than I would an intermediate who knows they definitely want to go pro. When you first decide you want to learn music production, you don’t have more than an idea of what being a producer will be like. You might’ve seen famous producers and recording engineers and think you’d like to do the same. In reality though, you don’t know what really goes into producing a track. When you give it a try, you might find it’s not right for you. Your first few months of audio engineering will involve a lot of learning. You won’t be making beats for the top musicians in your genre, and people won’t be paying you big money for your instrumentals. It’ll be a hard slog, at least initially. It’s because of this that I don’t recommend investing too much money into your beats maker software at this stage of things. If you learn how to produce music and still want to pursue this path after you’ve learned the basics, then I’d suggest investing more and getting the professional music making software. But initially, start out small. With that in mind, here are the two options I’d recommend depending on what stage you’re at. As I mentioned, if you’ve never owned any music making software for PC or Mac, you don’t want to jump in right away and spend $500 upwards on the best music making software. What if you do and then decide music production isn’t for you? You’ve just wasted a lot of money, that’s what. If you’re a beginner, I suggest you go for easy music making software initially. Not only is it easier to use than most of the top music making software, but it’s also a lot cheaper. At around $39.95 for it, cheap but decent software will be a good tool for testing the waters and seeing if music production is for you. Now don’t get me wrong, this isn’t the best software for beat making. That said, it does provide an important role: giving beginner producers an affordable way to get to grips with music production. You’ll get to make your first few beats and instrumentals which you can put online or give to any musicians you know. From here, a few months down the line you’ll know if you want to pursue music production and engineering as a professional. While I can’t recommend the best cheap music production software around as there are a lot which come and go, have a look around and you’ll be able to find some. So let’s say you’ve been producing for a while and you know that you want to produce music for a living. Maybe you want to go into music engineering one day, and you want the top music production software money can buy. In that case, I’d suggest you go for something more like Cubase or Pro Tools. Both of these are widely thought of as being some of the best music production software around. They can offer a industry standard level of music production, and allows you to alter sounds in ways that cheaper music making software can’t do. Buying either of these tools will future proof your recording engineer career. If you don’t want to, you won’t have to buy an alternative again in future. You may however want to buy upgrades and additional plugins down the line if you want to make your productions sound even better. Along with being some of top music making software around, both of these understandably hold a bigger price tag. That said, it’s a one off cost, and it’s always good to invest in your future. Whether you’re learning how to produce music for fun or to potentially one day make this your career and earn a salary, with enough dedication and learning the skill thoroughly, you should be able to recoup your initial investment over time. Remember, while the most important thing about being a top producer is the creative ideas in your head, being able to execute those ideas properly is very important too. For that you’ve need professional tools. How to properly mix your track. How to master your music. 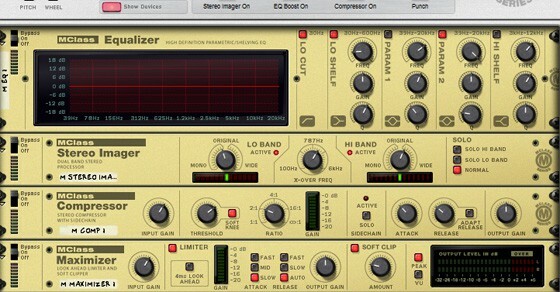 How to use compression to get the perfect levels. How to effectively EQ your tracks. And more essential skills for making a professional sounding track. If you’re serious about becoming a top music producer you’ll need to learn these things. 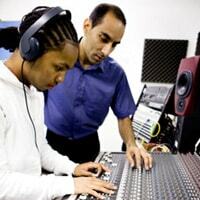 You don’t need to go to music production colleges or get a degree in music production; the above video courses is like an online music production degree in itself. Although you don’t get a certificate at the end (which doesn’t help much in many parts of the music industry anyway), it’s a lot faster and a lot cheaper. So have a look. There’s no sure fire way to become a famous music producer quickly! Become better than 95% of other sound engineers very fast. Successfully connect with popular musicians and record labels and get them to use your beats in exchange for money. Ensure you’re credited and mentioned on all the tracks when they’re being played. Easy on paper, not so easy in reality. If you want to get your name out there as a top beat maker, your best bet is to make good quality music and promote it effectively. I’ve already talked a lot about music marketing on this site, so sign up as a Full Access member to get hundreds of music marketing guides. Or if you’re serious about learning how to promote your music, you should enroll in the IMA Music Business Academy for a structured music business plan you can easily implement. So there you have it, a beginners guide on how to produce music like a pro. I hope you’ve enjoyed it; if so, please share if via social sites and link to it from your music site. I’ll be updating and adding more to it in future, so be sure to keep checking back for the latest. In the future I’ll be talking about other kinds of DAW (you can see a list of them here), whether you should hire a studio or use a home one, where to get samples and more. Mad right? The good thing is you now know a very important fact which many still try and solve by mistakingly spending more on more expensive equipment. If you’re ready to learn the same skills big producers and sound engineers use to make them their money, check out this section. 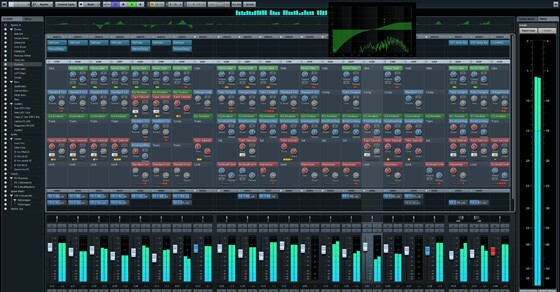 I am also making beats already using fl studio. Where can I post one or if any other up comin producers who would want to buy them and make them more interesting am your guy. I’m already doing beats, and I would like you to recomend me. So where can I post one of my beat?